Butenko, S., Pasiliao, E.L., Shylo, V.
Modern critical infrastructure is characterized by complex, heterogeneous and dynamically evolving networks. But these can be vulnerable to component failure, and this is a problem which must be addressed by realistic mathematical models. 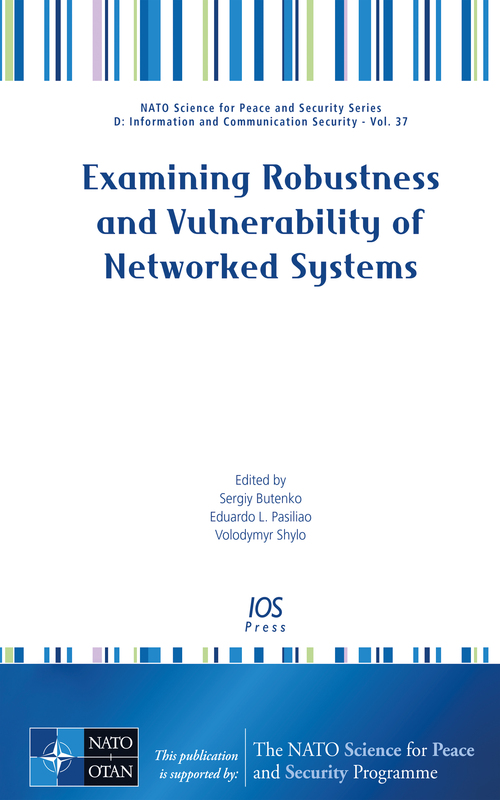 This book presents papers from the NATO Advanced Research Workshop (ARW), Examining Robustness and Vulnerability of Critical Infrastructure Networks, held in Kiev, Ukraine, in June 2013. Contributions were from workshop participants as well as invited experts in the field, and cover topics including: mathematical models; probability-based risk measures; algorithms for the design and detection of robust structures; identification of critical network components and case studies. This book will be of interest to researchers, practitioners and graduate students in the fields of mathematics, computer science and engineering.